I'm very happy to announce the release of The Stagger Sessions, a collection of twenty original themeless crosswords I wrote in the spring of 2017. All puzzles feature a staggered central stack, oriented either vertically or horizontally in each grid. 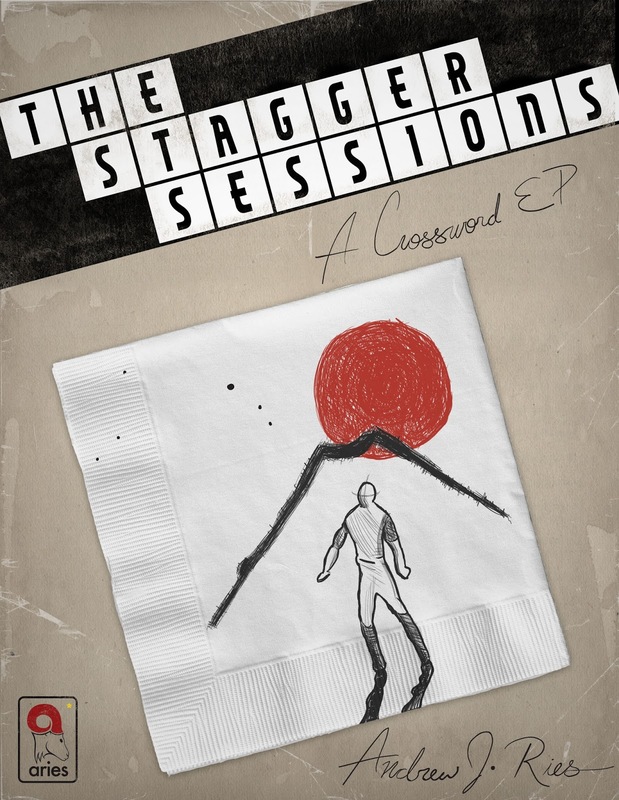 I'm conceptualizing this project as a "crossword EP," and thus the packaging of The Stagger Sessions is more reminiscent of an album of music than a standard crossword book. The Stagger Sessions will be available for purchase for $10 for the full EP, which includes the 30-page PDF including liner notes, the puzzles, and their solutions, as well as .puz versions of all the puzzles. In addition, individual puzzles will be available for just $1 per puzzle. For more details, and to purchase, visit the official Stagger Sessions website at www.stagger-sessions.com.